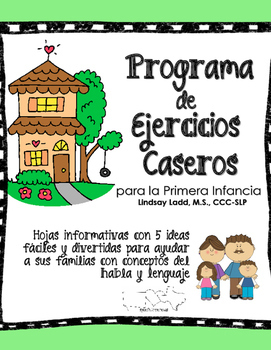 Looking for parent resources in Spanish to target common speech and language goals? Look no further! 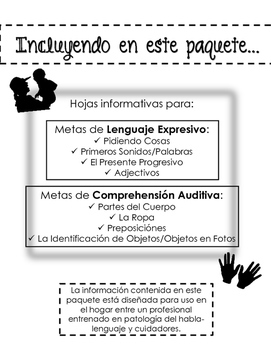 This 11-page .pdf includes parent/caregiver hand-outs in Spanish for EIGHT common goal areas for preschool and early receptive/expressive language skills! As always, thanks for stopping by and I'd love to hear if you found this product helpful in your own therapy practice!